Two of the most popular ways to replace a missing tooth are dental implants and bridges. However, these options are vastly different, and Drs. Ali and Shery Mansouri at Serene Dental Center feel that implants are far superior to bridges. No matter which option you ultimately choose, it is important that you first educate yourself so that you can make a well-informed decision. 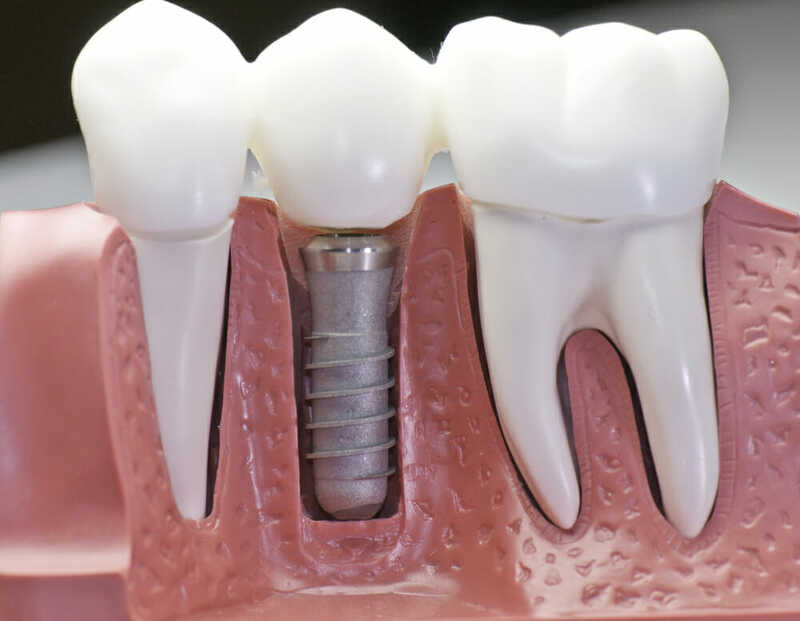 Dental implants are constructed from a small titanium post or screw that functions as a tooth root, an artificial tooth that sits on top of the gumline and a piece to connect the two. Traditional dental bridges are composed of three crowns attached to one another. The middle crown fits into the gap left by the missing tooth, and the other two crowns cap the teeth on either side of the gap. As our dentists will explain, implants offer numerous advantages over bridges. Implants are surgically placed in the jawbone and fuse to the bone; because they are anchored in the bone, they create a very supportive and stable foundation for the artificial tooth. Implants can last indefinitely with the proper care. Bridges are not as stable as implants and wear down more quickly. They must be replaced every seven to 10 years, on average. Bridges rely on the teeth adjacent to the gap for support. Most of the time, those natural teeth must be reshaped in order to support the crowns that help make up the bridge. Bridges can potentially wear down the surrounding natural teeth, making them vulnerable to decay. Compare that to dental implants, which are a standalone solution that does not require strength or support from any other tooth. When a tooth falls out, the underlying jawbone can start to deteriorate because it is no longer stimulated by the chewing forces of that tooth. As the bone deteriorates, it can lead to other problems, such as the remaining teeth becoming loose and falling out, and the facial structures ultimately collapsing. Implants, on the other hand, slow down bone degeneration because they keep the bone stimulated. They promote the health and strength of the jawbone, which is good for optimal dental health. These are just a few of the advantages implants have over bridges. If you are missing a tooth or facing tooth extraction and would like to discuss your tooth replacement options, please contact Serene Dental Center today to book a visit.